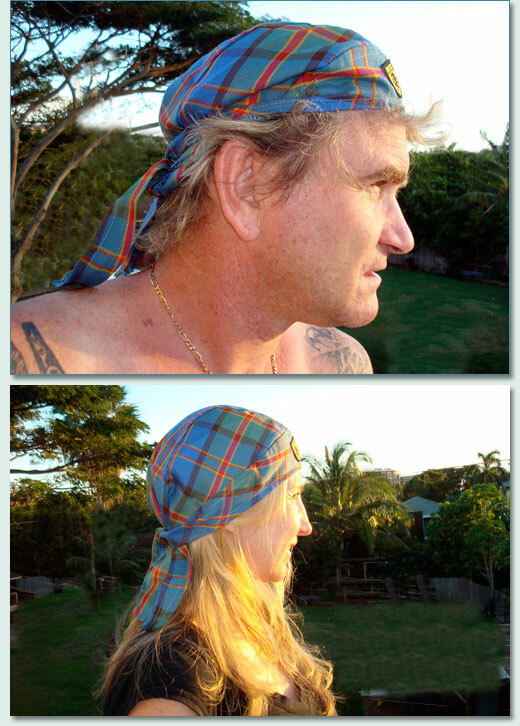 A fun piece of Hawaii Tartan head gear. One size fits all, seamed and fully shaped with a neck flap and ties in the back (keep your mullet dry!). Made of a soft polyester blend which resists wrinkles. Light and comfortable to wear. Great for men or women, boys and girls, for those days out on boats or bikes. Also known as a Noggin Wrap or Do-Rag.